By BosKonay, April 21, 2012 in What's On? 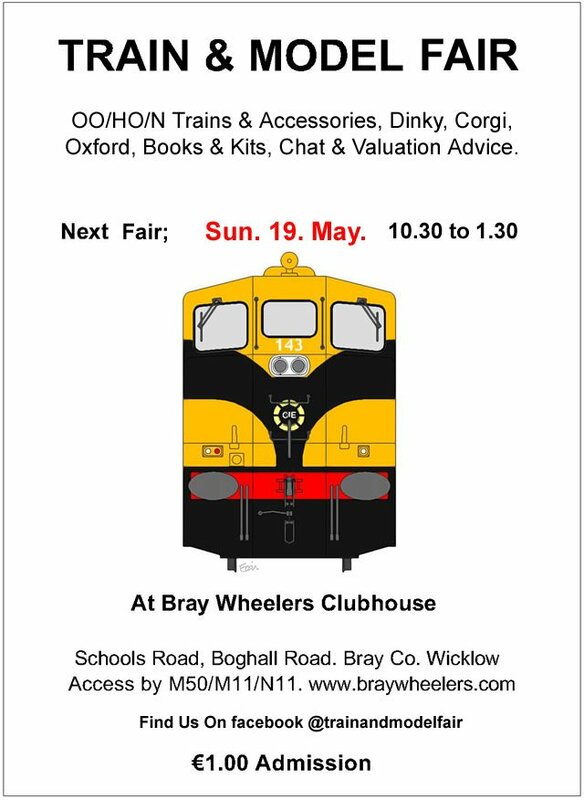 Due to an ever increasing workload and with the business growing in the UK market, Model Rail Baseboards will no longer be attending the Train and Model Fair in Bray. I would like to wish the lads the very best of luck and success in the future. 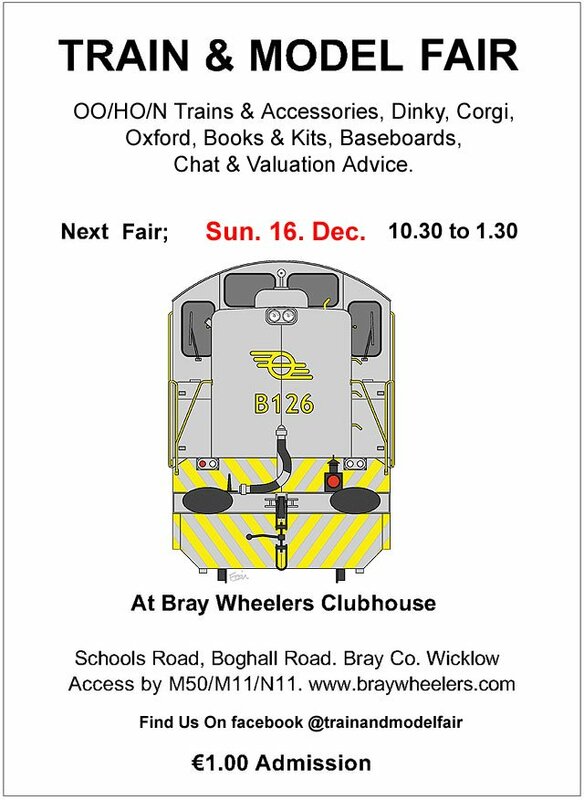 Kinvara Train Man & Kieran the Soldier Man will be there also. They’ll all be repainted in MGWR carriage brown livery by then. Thanks for posting the photos Eoin. Looks like good collection of interesting trade stands in attendance. 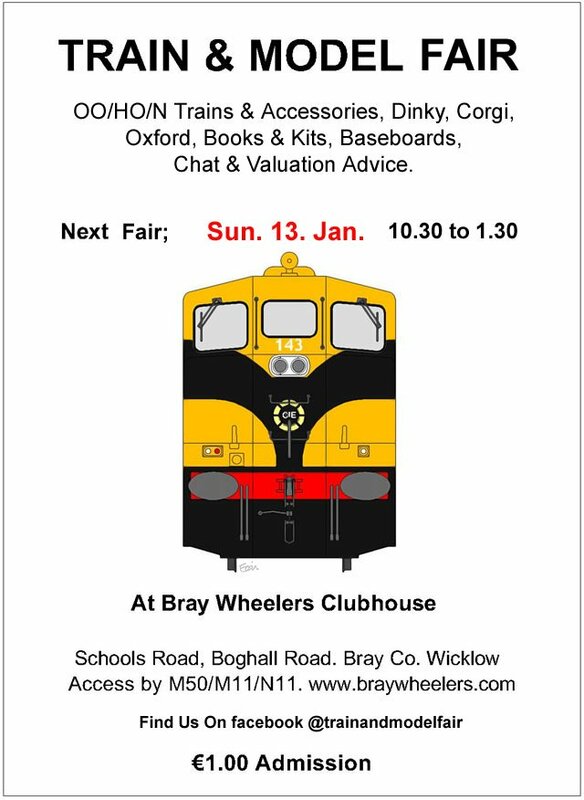 @murrayec I was hoping to visit Bray Wheelers today but was on Music roster this morning in Shankill so unfortunately didn't make it. A pal from WMRC was due to attend also. If you are looking for anything in particular, or you have something to trade or sell why not post it here or bring it along to the fair? Train & Model Fair is on this Sunday. 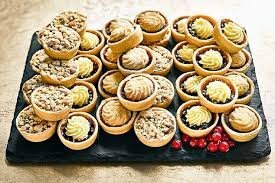 Don't forget the Fair is on this Sunday. Next Fair is on the 7th of April. I could have a special DART on display at this one? ?